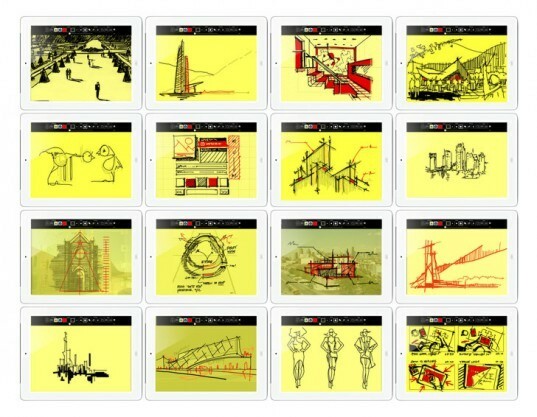 Last week The Morpholio Project released their new app called 'Trace' -- a cool new digital design tool that allows architects and other creatives to instantly draw on top of imported images or background templates, and layer comments or ideas to generate intelligent sketches that can be shared seamlessly with one another. 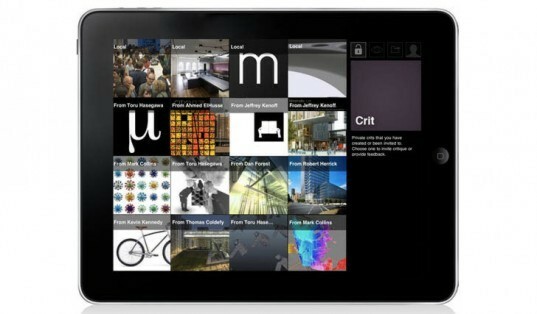 Trace, along with Morpholio, are just two of four new apps to be released in The Morpholio Project series, which aims to change how architects and designers approach the creative process. 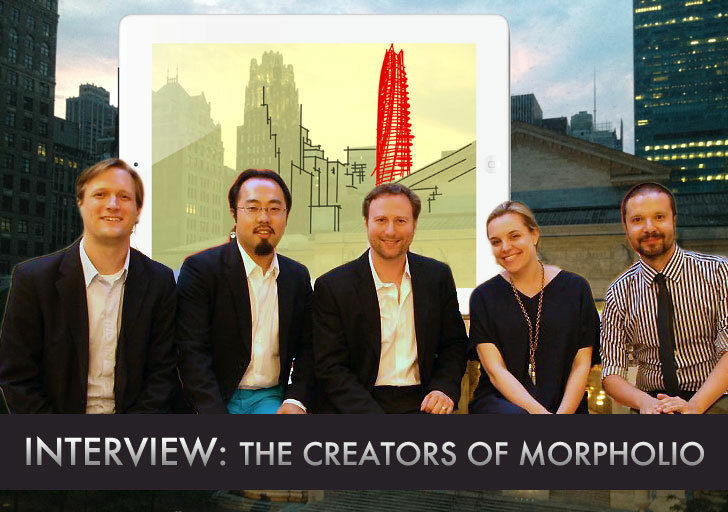 Read our interview with The Morpholio Project creators -- a team of talented and tech savvy architects -- who discuss what inspired their new suite of apps, how their apps fit in with BIM, and what they think tools like Morpholio and Trace mean for design education and beyond. Inhabitat: How did the idea for Morpholio come about? Morpholio: The idea for Morpholio is actually still evolving and hopefully will always be slightly in flux. In 2011, five of us came together to discuss how technology, device culture and social media are impacting our design process and ultimately the role of “feedback” in design. 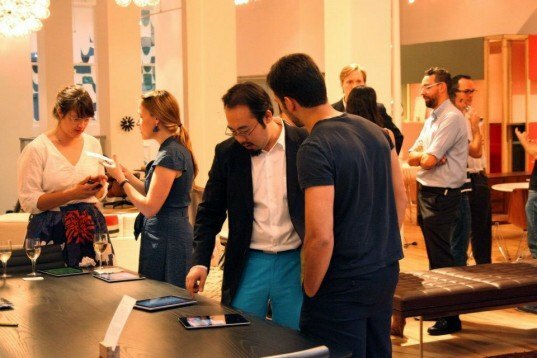 Our first meeting was at a bar on the Upper West Side where we agreed on the need for better design “utilities” and ultimately determined that the potentials of harnessing of human signals through mobile devices could present new territory for designers. We then started “The Morpholio Project” as a research experiment and within days began concept and software investigations relying on a small group of colleagues and friends for input. The goal was to think of your work (the portfolio) as a “tool” rather than as merely “representation.” Morpholio ultimately asked what would happen if you could merge processes of presentation, critique and collaboration into a single elastic platform? We are now only nine months in, have four unique apps (two coming soon) and we are quickly on our way to 20,000 members sharing their work in sketches, desk crits, and public pinups. Morpholio: It was almost an accident. Trace was originally conceived to be part of “Crit” in Morpholio and is still being developed as such. In June we made a test copy and presented it at the Herman Miller pop-up shop during the “Morpoholio Breaks New Ground” party to get some feedback. The response was incredible and before we knew it, the feature had a life of its own. The next day we had an emergency meeting and “Morpholio Trace” was born. Inhabitat: What is the importance of free-hand drawing in architecture? Morpholio: When we draw a straight line, it is never straight. When we stand still we’re actually never quite still – our eyes and hands work the same way. This uncontrollable nature is actually super important. Just as discovering something new in the city is to allow yourself to meander off course, the free-hand embodies, by nature, these meandering opportunities which can lead to discovery. The unpredictability is essential to finding novelty. Free-hand drawing is one portal for that exploration and potential moments of design discovery, creating a context for the mind to explore as you draw. When cultivated as a skill, designers can learn to create a game of catch between the mind and hand as an infinite loop of discovery and action. Inhabitat: Do you think Building Information Modeling (BIM) restricts thinking and the creative process? Morpholio: BIM relies largely upon 3D modeling and like most of those tools, it suffers from having to be too precise too early in the design process. We love drawing because it creates a dis-inhibiting environment in which to explore an idea. Trace in particular builds on this, letting you progressively iterate a drawing by layering details and changes on top of older versions of the drawing. The goal is simple: create an environment to incubate good ideas and provide as much bandwidth between a designer’s intention and the work they are producing. Whereas 3D tools can slow things down with laborious data entry, we are trying to create tools that have maximum simplicity so the tool can get out of the way and let creators do what they do best. Ultimately, BIM will come into the process as ideas crystallize, but we feel that the process of ideation itself is not well addressed by the tools that we have as designers. The development of better tools that address a broader spectrum of the design process and culture is a primary motivation of the Morpholio Project. Inhabitat: What do you think Trace means for designers and design education? Morpholio: For at least the past decade, the role of the “hand” in the design world has been slightly demoted to a digitized process of simply inputting text and clicking a mouse. This process is a translation of human meaning into a mechanic behavior limiting the point of physical interaction, performance and thought. Trace hopes to challenge this. It is about free thinking, building ideas and communicating, but also about redefining the role of the hand in technology. For designers, Trace should mean the ability to informally carry ideas forward where the focus is on the idea more than the digital input from which it is conveyed. Ultimately it is a tool like Trace that blurs the lines between practice and academia as well as idea and medium. Trace is not trying to be a drawing app, but an idea building app. Inhabitat: Today architecture education seems to bypass teaching and cultivating skills in sketching/conventional drawing. Because your team works closely with educators at various architecture institutions worldwide, do you see this tool being integrated into their design curriculum? Morpholio: We are putting together a suite of applications at the Morpholio Project that we think will be incredibly valuable in the academic context as well as the work place. Many of the goals of the Morpholio Project, including Trace and Morpholio, are to revitalize what we call “architectural technologies” that have been in development for centuries. For the Morpholio app, we looked at pinups and other ways that designers gave feedback and criticism to each other. For Trace, we wanted to create an app that didn’t just look like trace paper, but actually carried forward all of the great properties and use scenarios that made it such an invaluable tool for architects. There is a lot of distilled wisdom about how good design happens in academia, not just the conversation that happens there but in the tools, protocols and methods used as well. 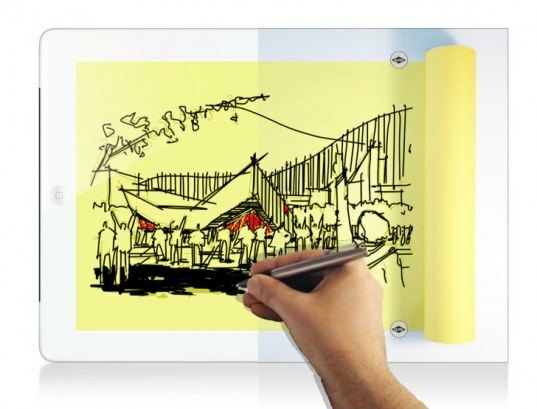 It is true that drawing has taken a back seat to the many exciting things happening in design technology. The Morpholio Project is putting forward a different vision, that goes beyond the either/or dichotomy of traditional versus digital. We are taking what we know works and multiplying it through cloud technologies and the incredible number of devices that are ubiquitous in our environment now, especially and including the academic environment. What you get is a fresh hybrid of both: tools that are familiar in how they work but given new possibilities through the cloud. Inhabitat: Can non-designers use this? Does this have any benefit for the everyman, artists, etc? Morpholio: Absolutely and hopefully YES! Surprisingly we have found everyone from tattoo artists to event planners to kids using Trace. Photographers are using it to storyboard scenes, doctors are using it to communicate procedures with patients, and teachers are using it to sketch exciting learning activities with their classrooms. Inhabitat: How did the idea for Morpholio come about? Morpholio: The idea for Morpholio is actually still evolving and hopefully will always be slightly in flux. In 2011, five of us came together to discuss how technology, device culture and social media are impacting our design process and ultimately the role of “feedback" in design. Our first meeting was at a bar on the Upper West Side where we agreed on the need for better design “utilities” and ultimately determined that the potentials of harnessing of human signals through mobile devices could present new territory for designers. We then started “The Morpholio Project” as a research experiment and within days began concept and software investigations relying on a small group of colleagues and friends for input. Inhabitat: What inspired Trace? Morpholio: It was almost an accident. Trace was originally conceived to be part of “Crit” in Morpholio and is still being developed as such. In June we made a test copy and presented it at the Herman Miller pop-up shop during the "Morpoholio Breaks New Ground" party to get some feedback. The response was incredible and before we knew it, the feature had a life of its own. The next day we had an emergency meeting and "Morpholio Trace" was born. Inhabitat: What is the importance of free-hand drawing in architecture? Morpholio: When we draw a straight line, it is never straight. When we stand still we're actually never quite still - our eyes and hands work the same way. This uncontrollable nature is actually super important. Just as discovering something new in the city is to allow yourself to meander off course, the free-hand embodies, by nature, these meandering opportunities which can lead to discovery. The unpredictability is essential to finding novelty. Free-hand drawing is one portal for that exploration and potential moments of design discovery, creating a context for the mind to explore as you draw. When cultivated as a skill, designers can learn to create a game of catch between the mind and hand as an infinite loop of discovery and action. Inhabitat: Do you think Building Information Modeling (BIM) restricts thinking and the creative process? Morpholio: BIM relies largely upon 3D modeling and like most of those tools, it suffers from having to be too precise too early in the design process. We love drawing because it creates a dis-inhibiting environment in which to explore an idea. Trace in particular builds on this, letting you progressively iterate a drawing by layering details and changes on top of older versions of the drawing. The goal is simple: create an environment to incubate good ideas and provide as much bandwidth between a designer's intention and the work they are producing. Whereas 3D tools can slow things down with laborious data entry, we are trying to create tools that have maximum simplicity so the tool can get out of the way and let creators do what they do best. Ultimately, BIM will come into the process as ideas crystallize, but we feel that the process of ideation itself is not well addressed by the tools that we have as designers. The development of better tools that address a broader spectrum of the design process and culture is a primary motivation of the Morpholio Project. Inhabitat: What do you think Trace means for designers? Design education? Morpholio: For at least the past decade, the role of the "hand" in the design world has been slightly demoted to a digitized process of simply inputting text and clicking a mouse. This process is a translation of human meaning into a mechanic behavior limiting the point of physical interaction, performance and thought. Trace hopes to challenge this. It is about free thinking, building ideas and communicating, but also about redefining the role of the hand in technology. For designers, Trace should mean the ability to informally carry ideas forward where the focus is on the idea more than the digital input from which it is conveyed. Ultimately it is a tool like Trace that blurs the lines between practice and academia as well as idea and medium. Trace is not trying to be a drawing app, but an idea building app. Inhabitat: Today architecture education seems to bypass teaching and cultivating skills in sketching/conventional drawing. Because your team works closely with numerous educators at architecture institutions worldwide, do you see this tool being integrated into their design curriculum? Morpholio: We are putting together a suite of applications at the Morpholio Project that we think will be incredibly valuable in the academic context as well as the work place. Many of the goals of the Morpholio Project, including Trace and Morpholio, are to revitalize what we call "architectural technologies" that have been in development for centuries. For the Morpholio app, we looked at pinups and other ways that designers gave feedback and criticism to each other. 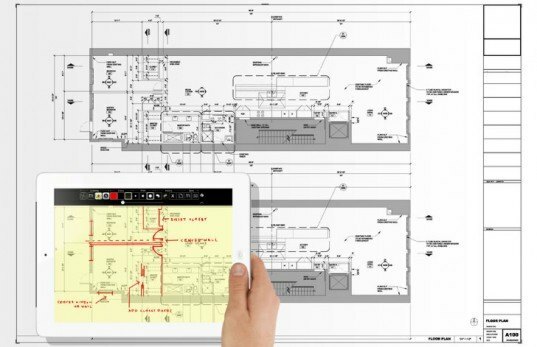 For Trace, we wanted to create an app that didn't just look like trace paper, but actually carried forward all of the great properties and use scenarios that made it such an invaluable tool for architects. Inhabitat: Can non-designers use this? Does this have any benefit for the everyman, artists, etc? Morpholio: Absolutely and hopefully YES! Surprisingly we have found everyone from tattoo artists to event planners to kids using Trace. Photographers are using it to storyboard scenes, doctors are using it to communicate procedures with patients, and teachers are using it to sketch exciting learning activities with their classrooms.